This is one of my favourite recipes. It is a frequent dish on the tapas menu in Spain. Worth trying when in Spain. It has been absolutely yummie every time. If you don´t happen to get to Spain often it is not difficult to make it at home. Just takes a little time to cook the pulpo, but the result is worth it. 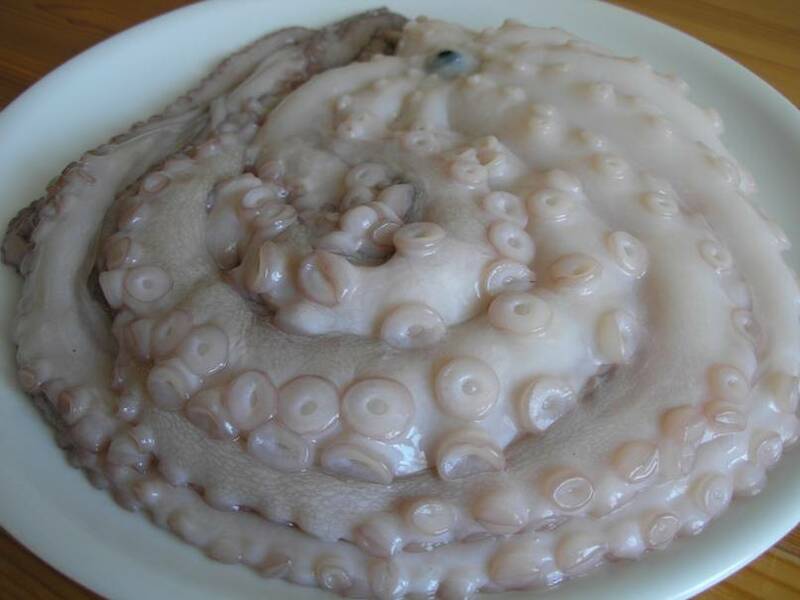 To cook the octopus bring water to boil in a large high saucepan. When the water is boiling hold the octopus and drop it into the boiling water briefly for 3 times before placing it in the pan. Add the bay leaves and bring to boil again at high temperature. Reduce the heat and simmer for 90 min. Taste to see if the pulpo is soft. When soft, take it out of the water and cut the tentacles into ca 1cm thick slices. Take a small pan, heat the oil, put the coarsley chopped garlic in and cook for a couple of minutes then take the garlic out and add the paprika powder into the oil and heat again for 1-2 minutes. If you prefer a heartier meal, boil some potatoes while the pulpo is boiling too (both should be ready around the same time to avoid re-heating) and cut the boiled potatoes into 0.5-1cm thick slices when still hot. 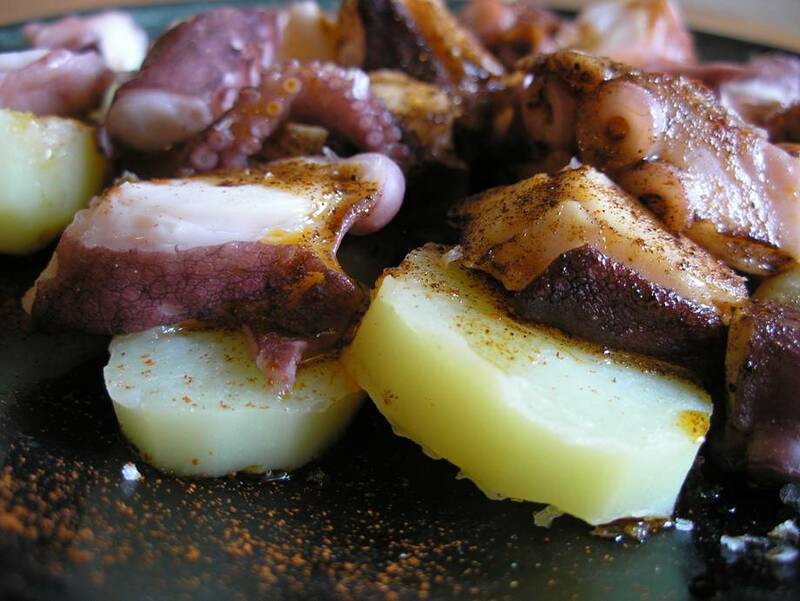 Arrange the potato and pulpo slices on a plate, cover with the paprika-olive oil and add a little sea salt on top. Cut the lemon into wedges and squeeze some juice over if desired. Now, octopus and kaheksajalg refer to the number of tentacles, but polvo, pulpo, polpo do not. I wonder why...?